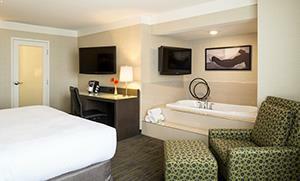 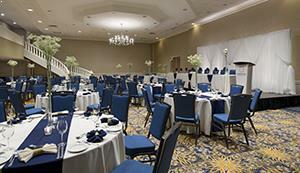 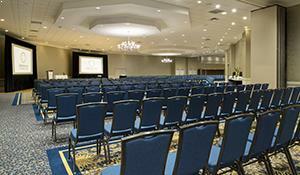 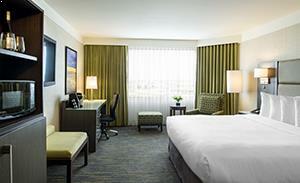 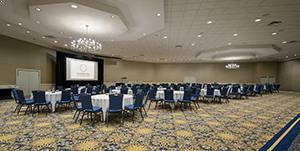 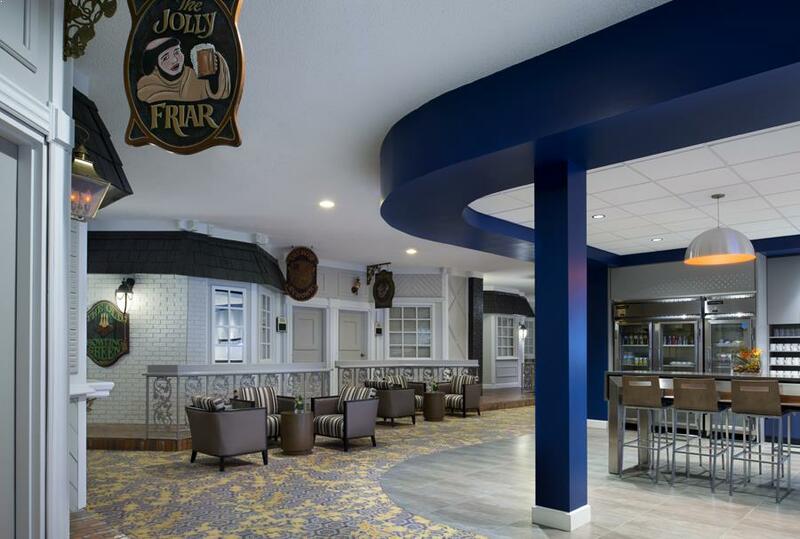 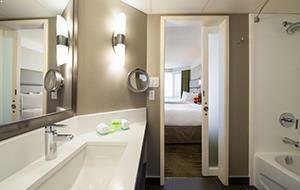 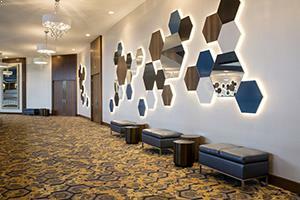 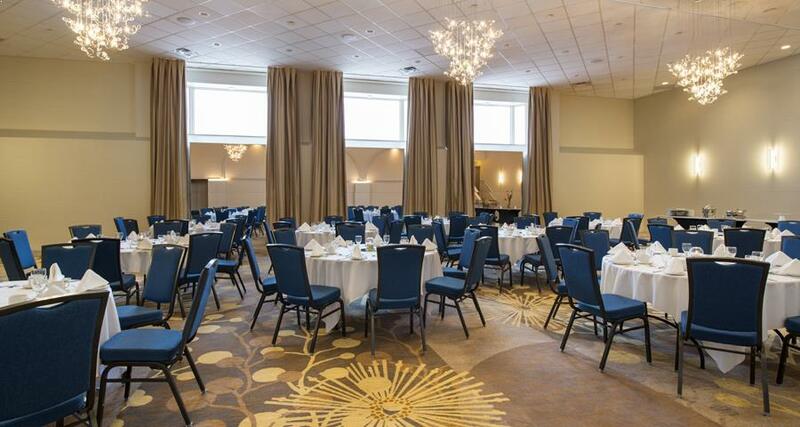 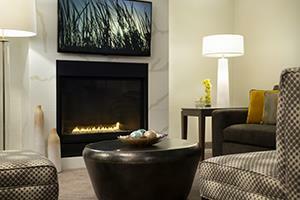 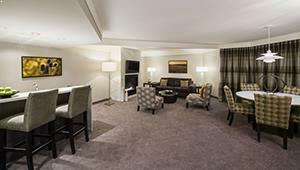 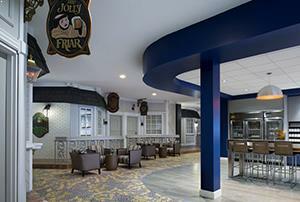 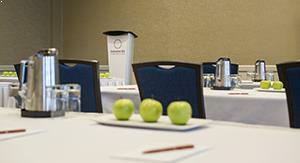 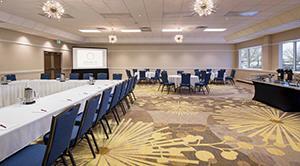 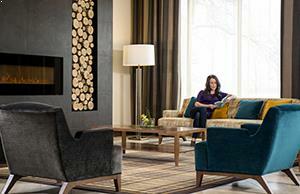 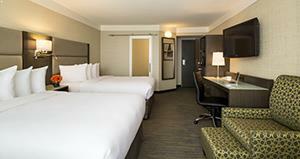 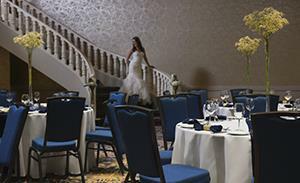 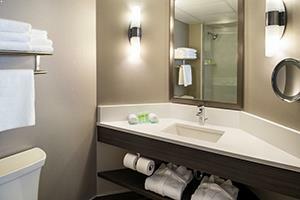 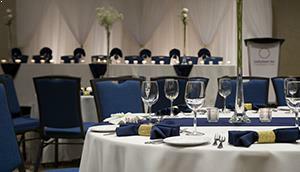 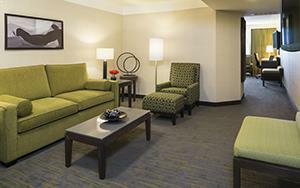 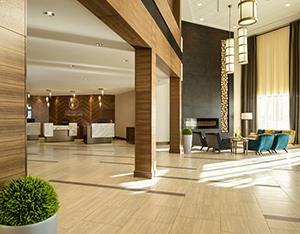 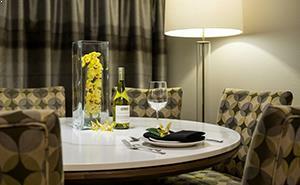 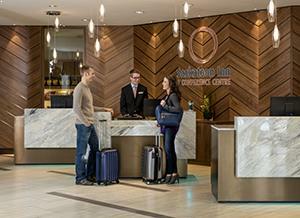 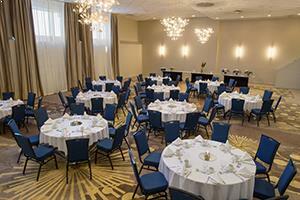 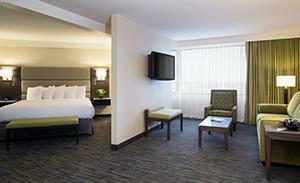 Welcome to the newly renovated Saskatoon Inn & Conference Centre. 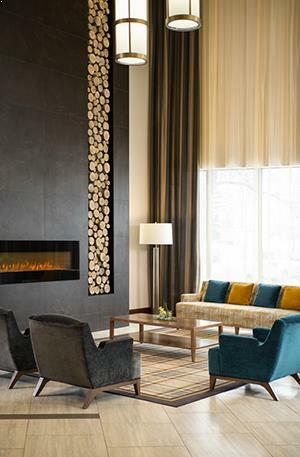 Step into our inviting lobby with its rich walnut woods and floor to ceiling fireplace, where you can lounge with your favourite Starbucks® beverage and tasty treats made in-house from our Bean There Café. 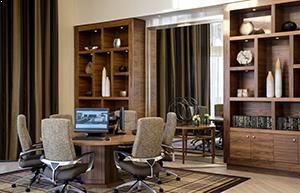 Stay up to date at our communal business centre. 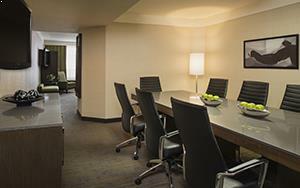 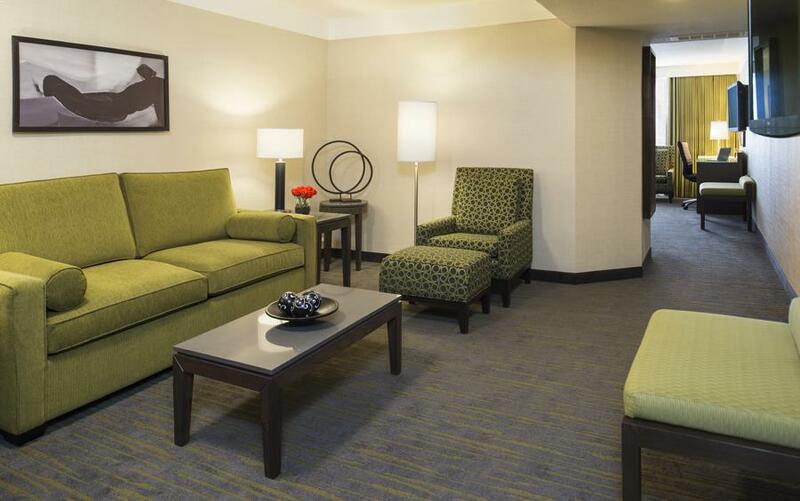 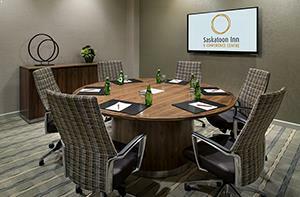 With its comfortable executive chairs and large central table, it’s the perfect place to hook up and stay connected. 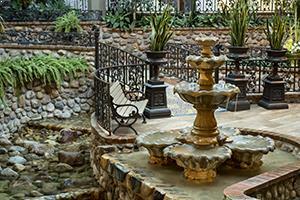 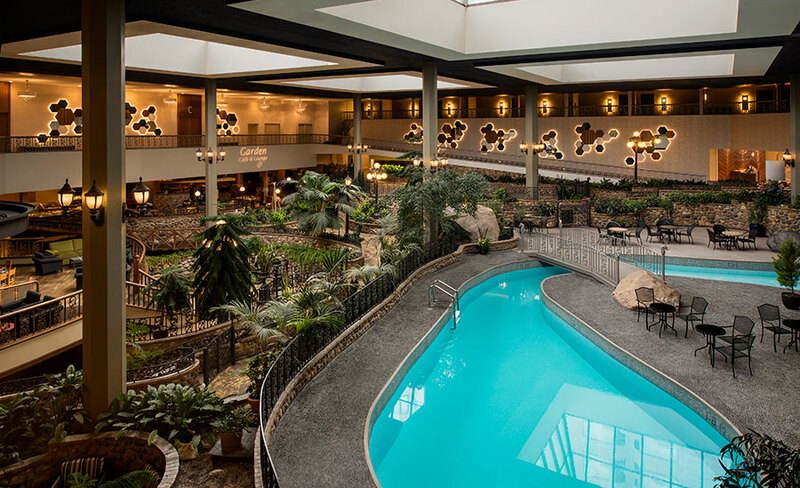 Off of the main lobby, you will find our spectacular indoor garden with hundreds of tropical plants, babbling brooks and fountains – all under expansive skylights. 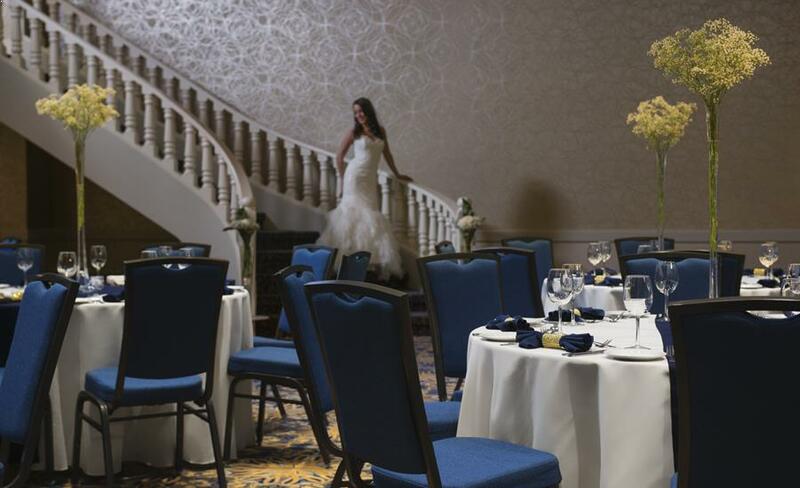 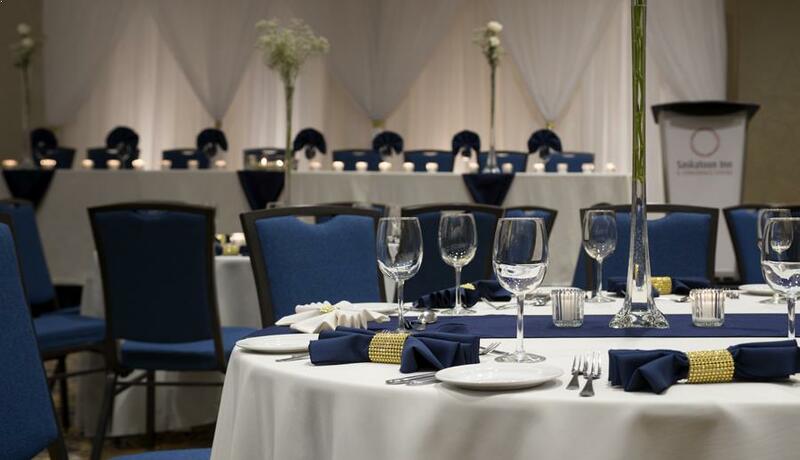 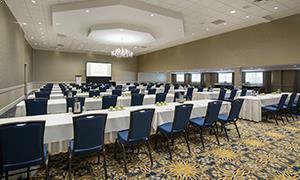 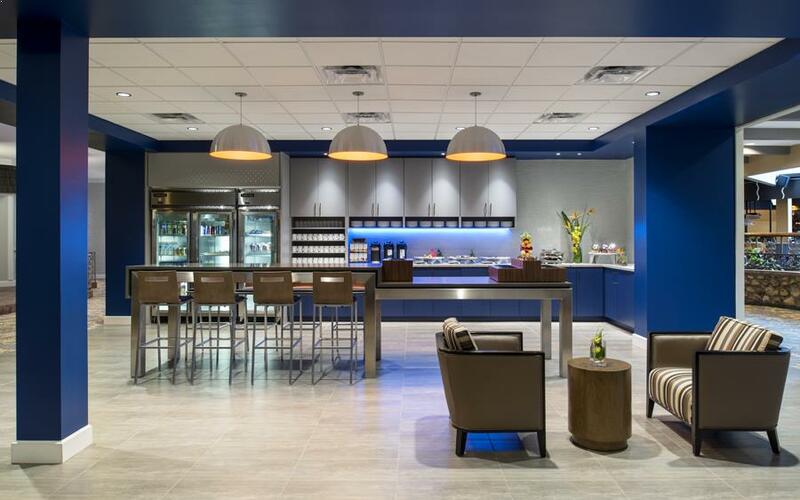 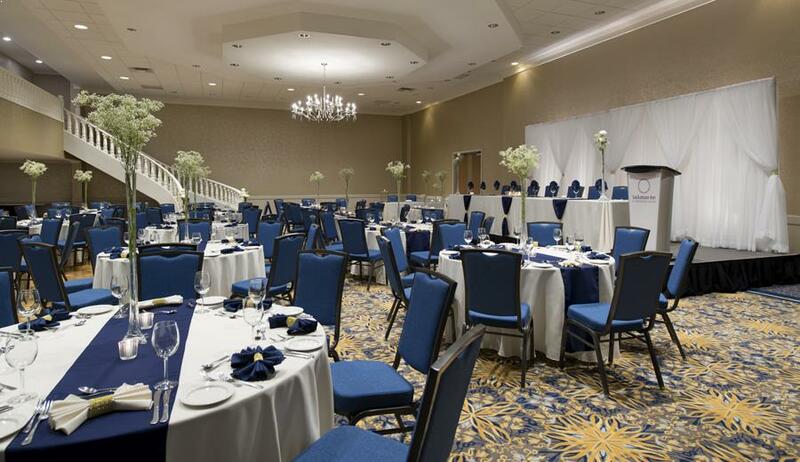 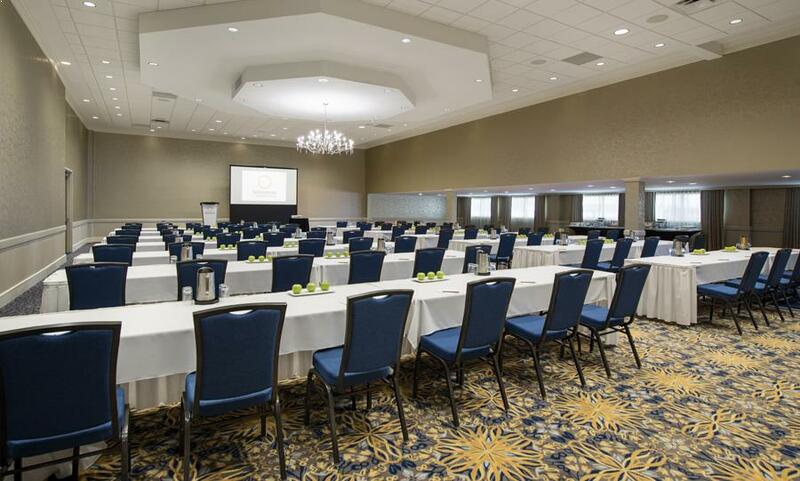 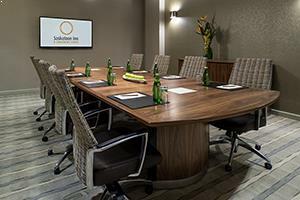 With over 26,000 square feet of newly renovated function space offering a fresh and contemporary look, we are the ideal venue to host your next meeting, conference, wedding or other social function. 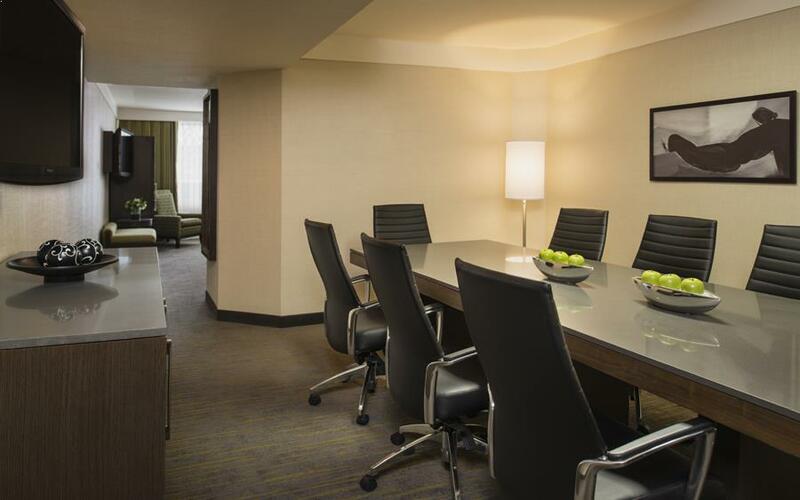 Many of the meeting rooms surrounding our tropical courtyard feature large exterior windows for natural lighting and include complimentary high-speed Internet access. 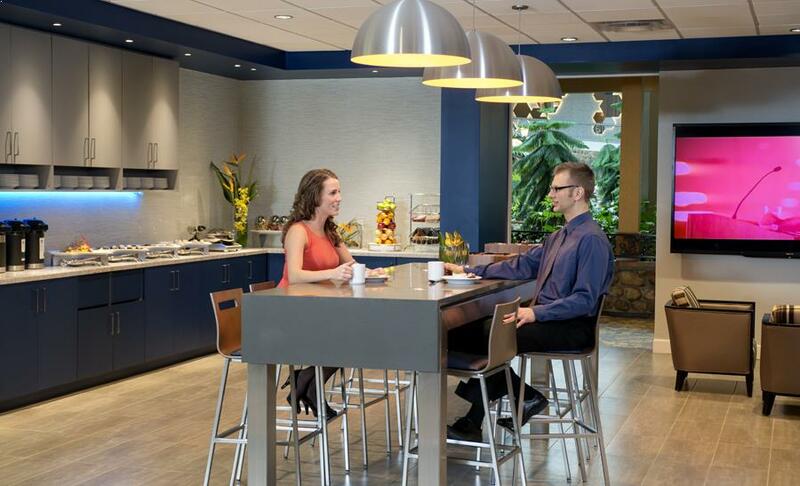 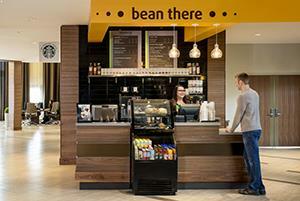 Take a moment to re-fuel at the newly constructed café style communal break area. 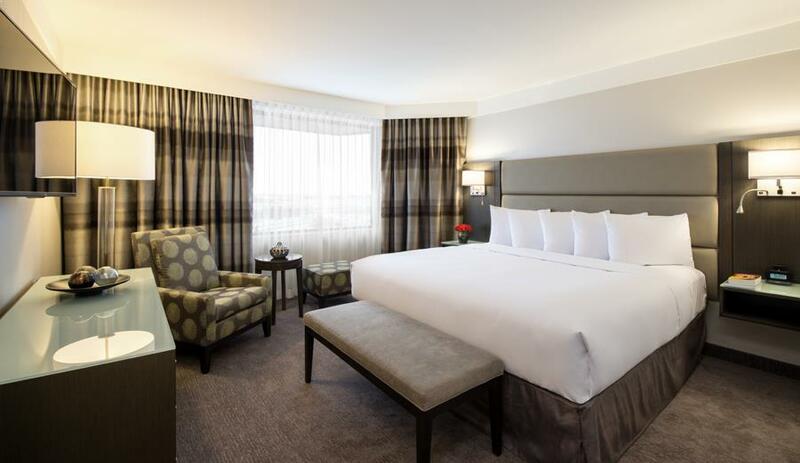 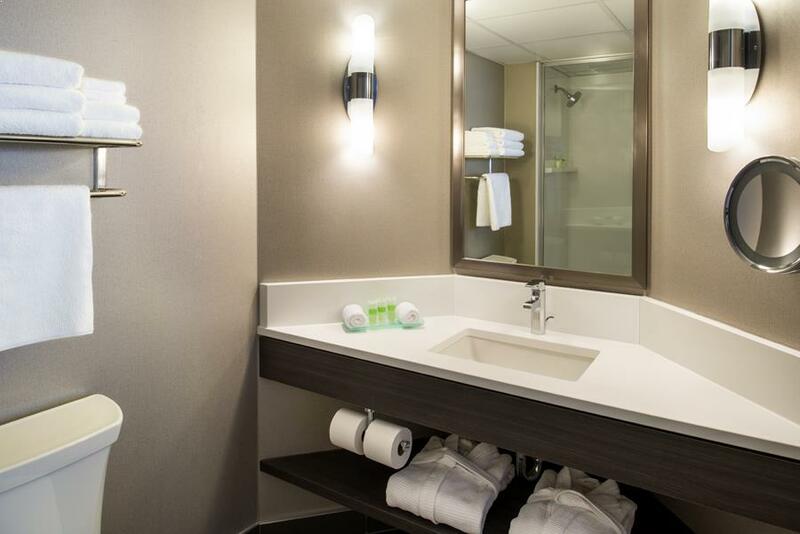 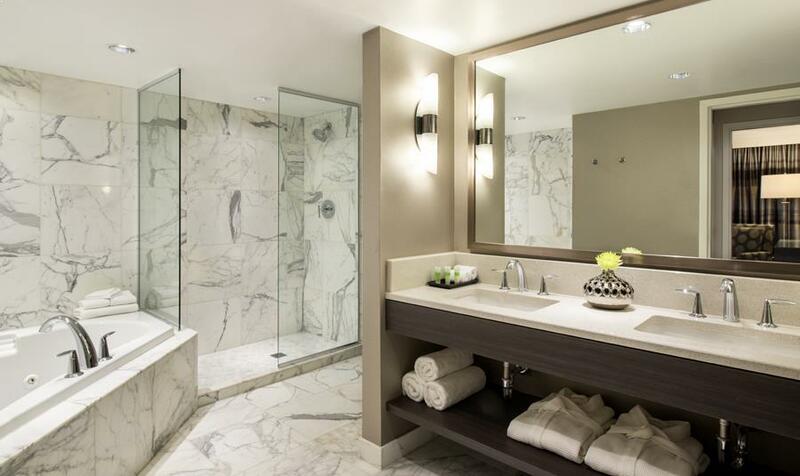 Our 257 completely refinished guestrooms featuring contemporary furnishings and soothing neutral colours include free Wi-Fi. Enjoy fresh, local, farm-to-table Canadian cuisine, and Sunday Brunch at the full-service Garden Café and Lounge. 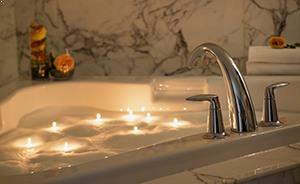 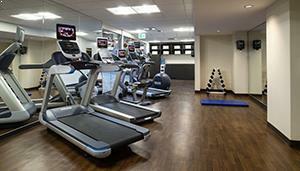 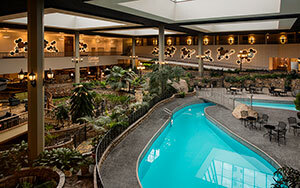 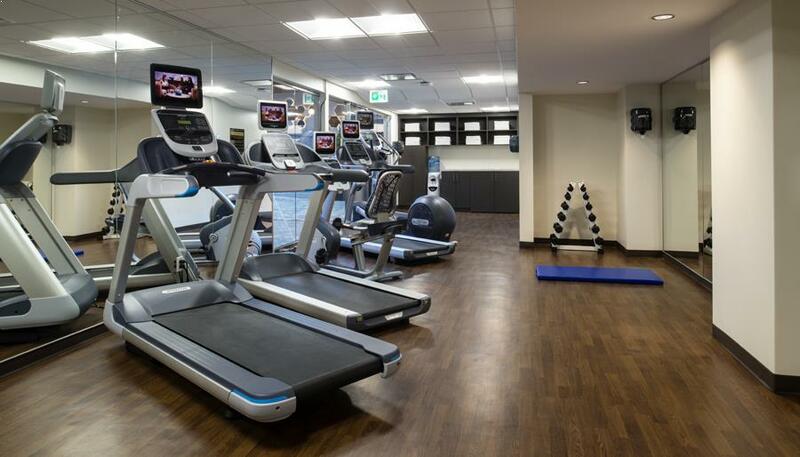 Recharge in our new fitness centre or unwind with a soak in the pool. 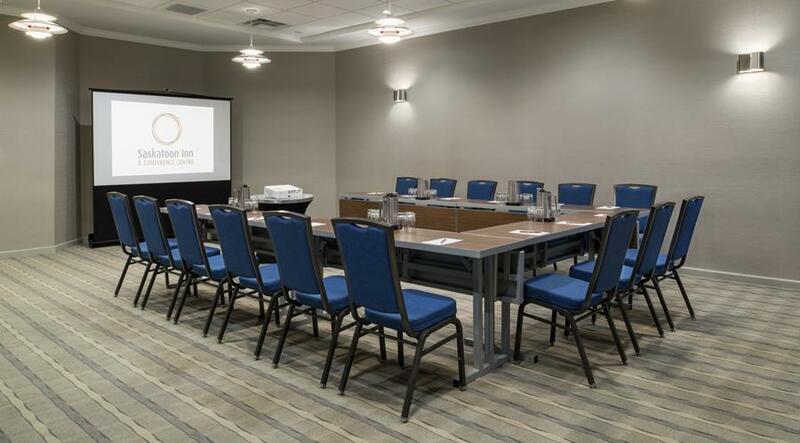 Conveniently located on Circle Drive, 5 minutes’ drive from the Saskatoon airport and only 10 minutes from the downtown core, the Saskatoon Inn and Conference Centre is close to all major attractions and conveniences. 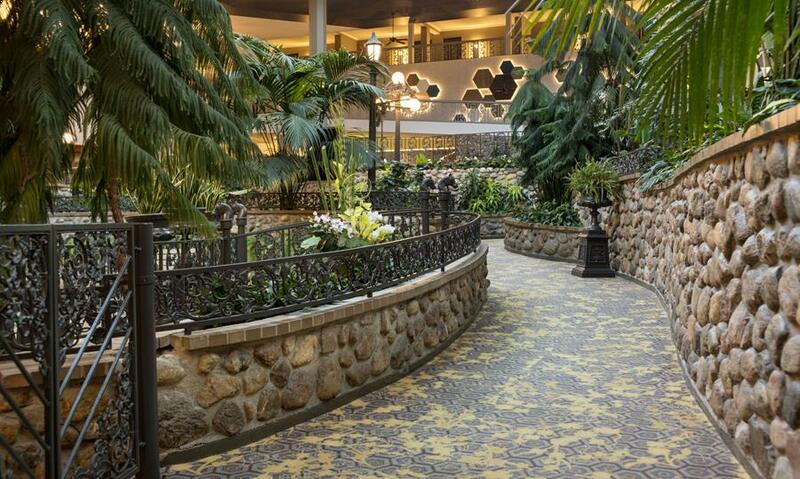 Parking is complimentary for guests. 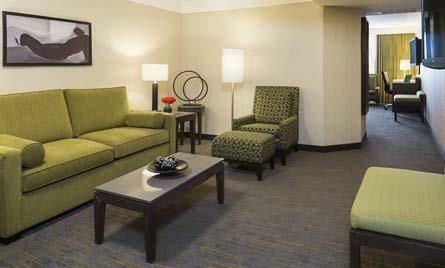 We also offer a daily rate of $10, plus taxes to park your car and fly out. Vehicles must be registered with the front desk.